Before we delve into the "money" mystery of this iconic houseplant let's start with the basics. 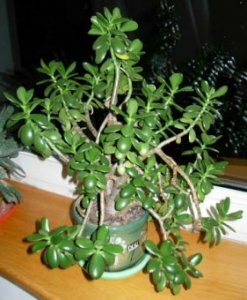 The Money Plant or Jade Plant is one of the most famous and popular of the many succulent Crassula that are used as indoor plants. Very easy to look after with amazing longevity it was somewhat more popular in the past than it is today. 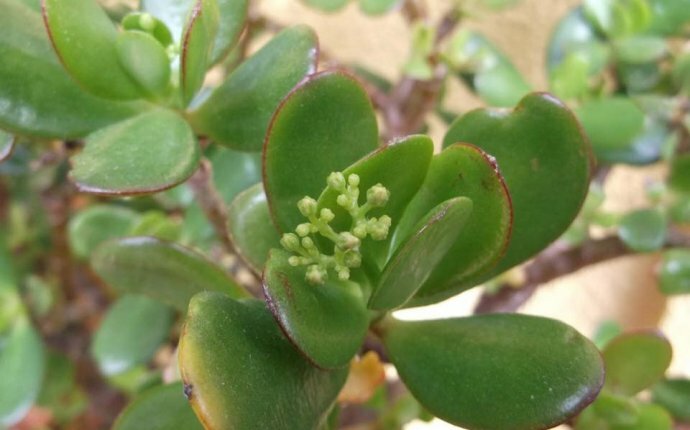 The insulting phrase "old fashioned" might be slung around when describing this Crassula, but as with anything, fashions go around. 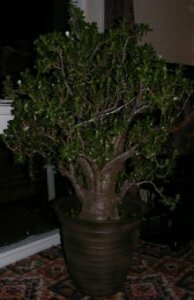 So if you like it, pay no attention to the insults, instead be proud and display your Jade Plant boldly. So yes the money aspect of its name. A plant which has grown and combined with so many small nuggets of rumor, myths and truths it's hard to break it down into one simple answer. So we are just going to lay it out there, and hopefully you'll make the connections. There are two main "money plants", one is the star of this page: The Jade (commonly known as the Money Plant) and the other is Pachira Aquatica (commonly known as the Money Tree). Both are used strongly in Feng Shui which originates from China. The idea of which is to harmonise human existence with the surrounding environment. The energy of the Feng Shui money plants comes from its well-rooted and vibrant energy seen through new growth. Placement of the plants are chosen to hopefully reflect this growing energy in your own bank balance. You'll often also find these plants in oriental takeaways, shops and restaurants, which is generally due to their ability to thrive under artificial light and being able to take the hot room temperatures that are created in these places. To most casual customers however they are simply reinforcing the stereotype that the Orient is mysterious and spiritual rather than the owner simply choosing a houseplant they know will grow well. In some countries they were frequently given as wedding presents or as house warming gifts. Their longevity meant they were still with the recipients some 50 years later. Who are now somewhat richer both financially and through life experiences.